I’m sorry for the long hiatus from the blogosphere but it’s been a busy few months with a lot of change! First, the publication of Born Again, Dead Again, has been put on hiatus. My previous publisher has decided to scale back the number of novels they release next year, and unfortunately, my second book was one of those casualties. However, in my typical glass-half full approach, I decided retreat into the best refuge known to writers — the refuge of the mind. After a busy year filled with marketing and promoting Naked and Hungry, I’ve enjoyed the opportunity to focus solely on my writing and the joys that the act itself brings to my life. With the help of a wonderful group of Pittsboro writer friends, I’m rediscovering my love of short stories, which, ironically, is what led me to write a novel in the first place. I’ve also enrolled in a class taught by celebrated local author Ruth Moose and am having a blast. 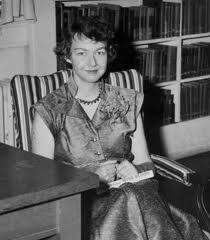 In between penning new stories, I’ve also embarked on an independent study of the works and philosophy of Flannery O’Connor, one of the icons of Southern literature. She is also the author of “A Good Man is Hard to Find,” one of the greatest short works ever penned. I discovered this gem last night when trying to explain to my son where writers find their inspiration. As for me, my ideas come from real life but they only sprout into stories once that idea has lain semi-dormant in the unconscious mind. I say semi-dormant because as I discovered in Imagine, the right hemisphere is never really dormant. The habit of writing is also important, as Lehrer would certainly concur, because true creativity occurs at the end of hard work. So what’s next for me? In between my writing pursuits, I’m planning a journey to Andalusia in Milledgeville, Ga., Flannery’s homesite in the not-so-distant future. l’ll also be speaking at the N.C. Writers’ Network Fall Conference on November 3 in Cary on a more practical topic, writing for the internet. In the meantime, because many of you write, I welcome your thoughts on the joys of the writing life. This entry was posted in Uncategorized and tagged Flannery O'Connor, joy, Maritain, N.C. Writer's Network, short stories, writing life on October 14, 2012 by Ashley Memory. Thanks Mary! It’s been a wild ride, but a good one. Hope you are well!